CAMPBELL, Alexander. The Grampians desolate: A poem. Printed By John Moir...for Vernor and Hood, London: And Manners and Miller, Edinburgh. 1804. First Edition. vii, , 316pp, . With half-title and terminal 'Prospectus of a new agricultural institution, or fund of aid for waste land cultivators. Dated London, April 16th 1804.' 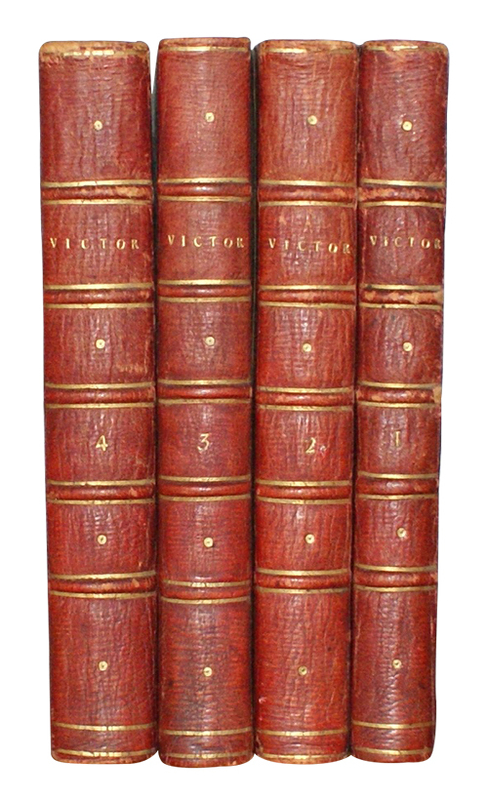 Finely bound in contemporary half mottled calf over marbled boards, contrasting red morocco lettering-piece, gilt, flat-spine with subtle blind-stamped grecian urn devices to compartments. A fine copy. Small booklabel to J.O. Edwards to FEP. Presentation copy, inscribed 'To Hawkins Browne Esqr, M.P. from the Author' to head of half-title. DUCRAY-DUMINEL, M. [Francois-Guillaume]. Victor, ou l'enfant de la foret. Chez le Prieur, Libraire. . Third edition. 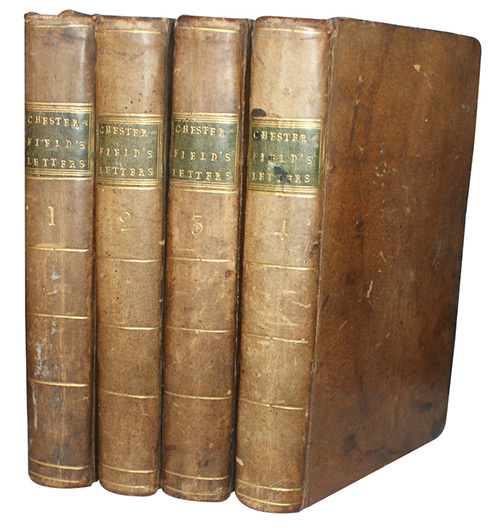 Four volumes. 242, ; 257, ; 275, ; 325pp, . 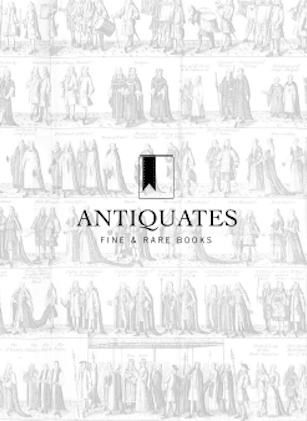 With half-title and engraved frontispiece to each volume. 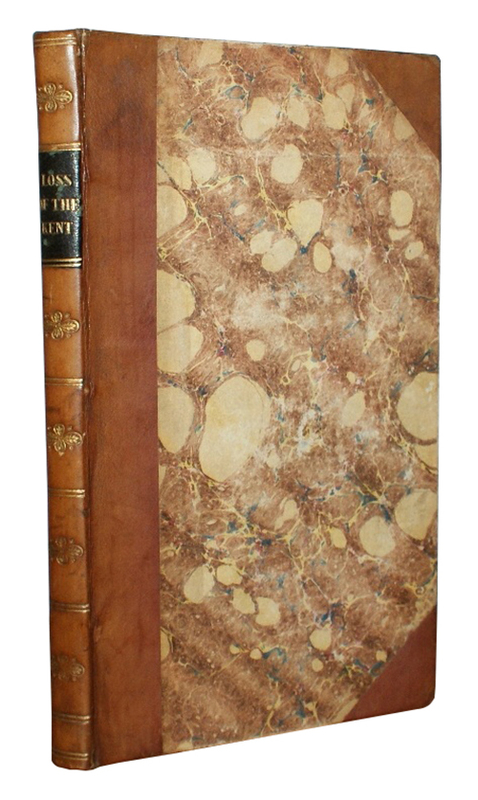 Finely bound in contemporary red half-morocco over marbled boards, gilt. Slightly rubbed to spines, bumping to corners. Marbled endpapers. Early ink inscription of E. Matheiu to head of each title, occasional marginal loss to text blocks. HEBER, Reginald. Palestine. A Poem recited in the theatre in Oxford, MDCCCIII. To which is added The Passage of the Red Sea, a Fragment. Printed for Longman, Hurst, Rees and Orme; and John Hatchard. 1809. Second Edition. , 32, 8, . With half-title. Finely bound in contemporary diced Russia, spine richly gilt in elaborate patterns with at least 8 different tools, foliate borders to boards, titled to centre of each board within lozenges. A fine copy, with only the slightest cracking to upper joint at foot of spine. Ink inscription of Harriet Thager to verso of FFEP. NECKER, M.. De l'importance des opinions religieuses. [s.n.]. 1788. First edition. , 544pp. With half-title Contemporary polished calf, gilt, contrasting red morocco lettering-piece. A trifle rubbed to spine, extremities, else a fine copy. From the Dukes of Devonshire library at Chatsworth, with bookplate to FEP and crowned D to head of spine. RICKMAN, Thomas.. An Attempt to Discriminate the Styles of Architecture in England from the Conquest to the Reformation: With a Sketch of The Grecian and Roman Orders; Notices of Numerous British Edifices... Longman, Rees, Orme, Green & Longman. 1835. Fourth Edition. vi, , 339pp, . Engraved frontispiece, 14 plates. 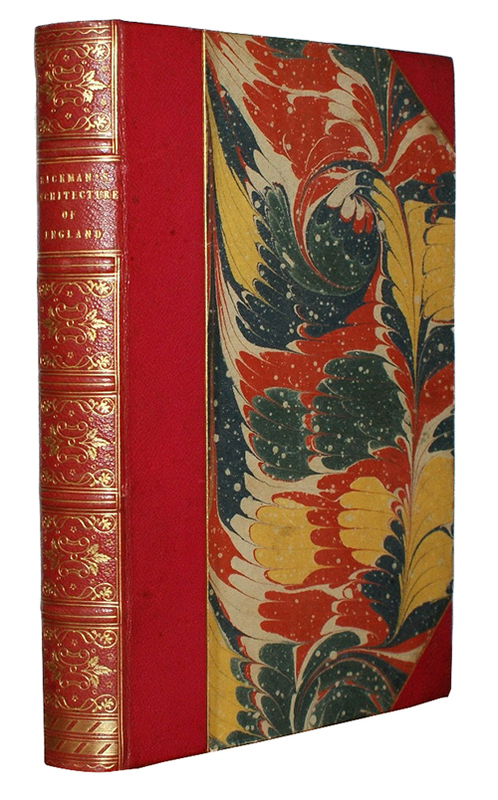 Half red morocco over marbled boards, spine richly gilt. T.E.G. Slightest of wear to corners, else a fine copy. Slight foxing to edge of text block, original silk marker remains intact but has caused browning to a few leaves. Fore-edge of frontispiece slightly dog-earred, folded over by binder to prevent further wear. STANHOPE, Lord Philip Dormer. Chesterfield's Letters.. Eugenia Stanhope. 1776. Seventh edition. Four volumes. xvi, 352pp. , 355pp. , 376pp. , 364pp, . Engraved frontispiece of the author. Contemporary polished full calf. Gilt, contrasting green morroco lettering piece. Some rubbing and marking to boards, occasional cracking to joints - else a handsome set. Very occasional pencil annotations to text. TENNYSON, Alfred Lord.. The Early Poems of Alfred Lord Tennyson Including 'The pricess', in memorium', 'maud', etc.. Henry Frowde. 1900.
viii, 495pp. Engraved portrait frontispiece. 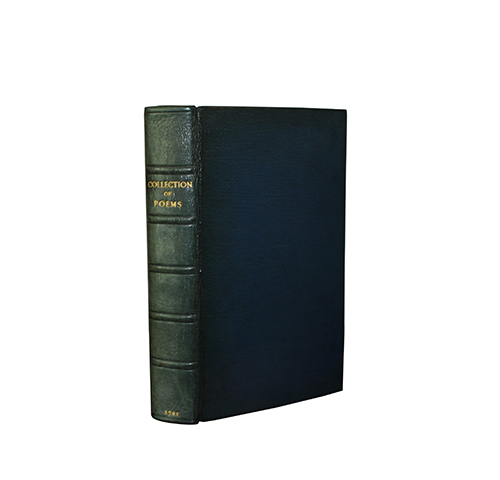 Handsomely bound in contemporary green calf, gilt. Contrasting red morocco lettering-piece with gilt titling. Marbled endpapers with edges marbled. Very slight rubbing to extremities. A fine copy. [KNIGHT, Ellis Cornelia]. 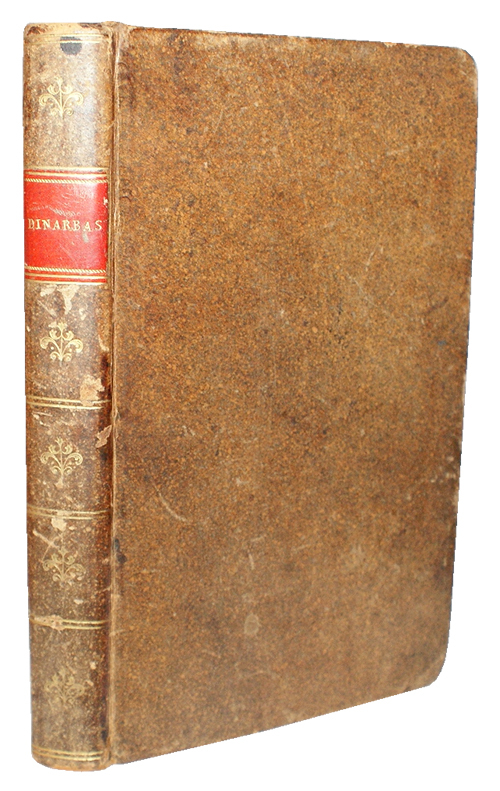 Dinarbas; a Tale: Being a Continuation of Rasselas, Prince of Abissinia.. T. Cadell,Jun, and W Davies.. 1800. Fourth Edition. xii, 309pp . 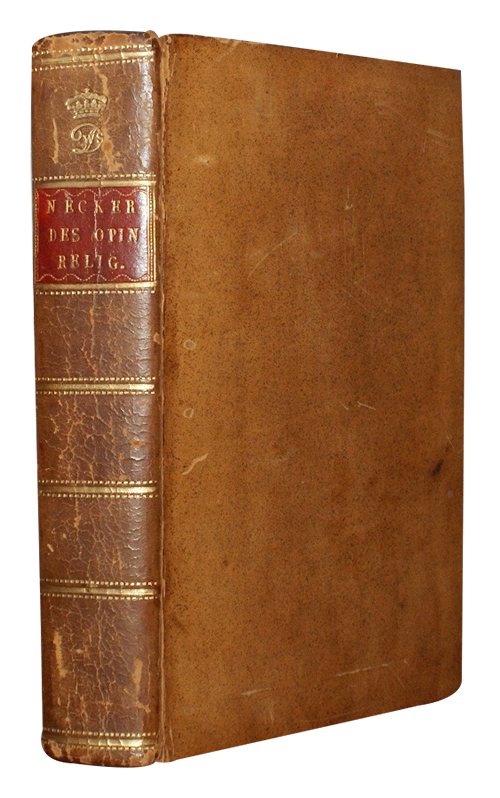 Contemporary speckled calf, decorative spine, contrasting red morocco lettering piece, gilt. Slightly rubbed with a little surface loss and tiny ink spot to spine, very minor occasional foxing but a nice copy. Bottom corner torn away to margin of p.273. [LEVER,Charles]. The Confessions of Harry Lorrequer. William Curry, Jun. And Company.. 1845.
xv, 343pp. Complete with engraved frontispiece, extra engraved title and all illustrations. 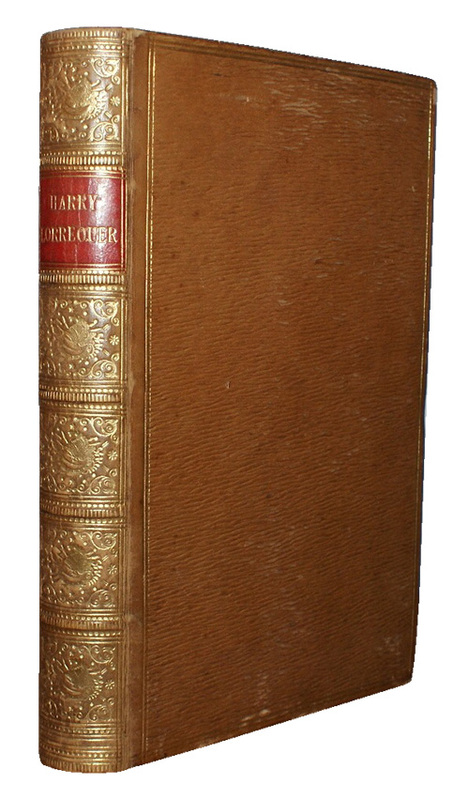 Handsomely bound in contemporary tan straight-grain morocco, elaborate gilt decoration to spine with contrasting red morocco lettering piece and gilt titling. Marbled end papers and edging. Some rubbing to extremities and as often, illustrations heavily oxidized. [POETICAL MISCELLANY]. A Collection of Poems: Viz The Temple of Death By The Marquis of Normanby... With Several Original Poems Never Before Printed, By The Earl of Roscommon, The Earl of Rochester..... Printed for Daniel Brown...and Benjamin Tooke. 1701. First Edition. , 453pp, . With three terminal advertisment pages. Recent blue morocco, gilt titling to spine, spine slightly faded. Slight marking to prelims, staining to R5 and R6. Very occasional marginal ink stains, marginal loss at corners of H3 and H4, not touching text. [VINCENT, John]. Fowling, A Poem (In Five Books) Descriptive of Grouse, Partridge, Pheasant, Woodcock, Duck, And Snipe Shooting. Printed for T. Cadell and W. Davies. 1808. First Edition. , 150pp, . 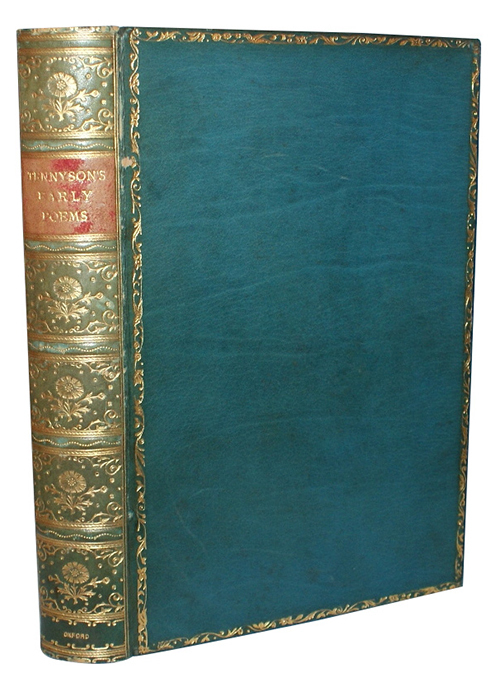 Extra-illustrated with engraved title and 19 engraved plates, folding, from Howitt's British Sports. Exquisitely bound in contemporary green straight-grained morocco, elaborately decorated in gilt and blind, with double line and pointille borders enclosing several small tools. Marbled endpapers, A.E.G, attractively gauffered re-using some of the same small tools as used to boards. Prince Henry, Duke of Gloucester's copy, with his bookplate to FEP. Lot ticket for the Christies sale of Gloucester's library in 2006 loosely inserted.